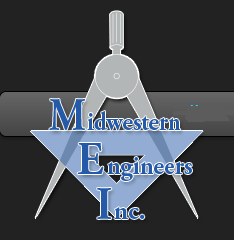 Services Provided by Midwestern Engineers, Inc. MIDWESTERN ENGINEERS, INC. provides comprehensive planning services, design services and project representation for cities, towns, regional water districts, conservancy districts and not for profit water utilities to provide their customers with safe and reliable drinking water. The following services are offered. Act as liaison between the local entity and regulatory agencies, such as INDOT, IDNR, and the Army Corps of Engineers. Improvements to existing city, town or county streets including pavement design, sidewalks, drainage facilities, signalization, signage, lighting, and utility relocations. Recreational studies and planning require the combined use of site planners, water supply, wastewater treatment and building design. Our firm is fully staffed to provide these design services. We have completed numerous projects for Holiday World Theme Park and Splashin' Safari Water Parkincluding final design of pumping and filter operations, electrical, mechanical, water and wastewater utilities, food services buildings, stormwater structures, site layout, pedestrian bridges, etc. Midwestern also provides field testing as well as on-site consultation to trouble shoot operational problems or during initial plant start up of treatment facilities. MIDWESTERN ENGINEERS, INC. provides assistance to cities, towns, counties, regional districts, conservancy districts and not for profit utilities with project development in the following fields. There are numerous challenges and issues facing counties, communities, and utility companies. Our staff looks at these concerns utilizing practical insights, gained from the experience of working with our clients over the past 53 years. Our commitment is to protect our clients' interests from the development phase of a project to its completion. New or improvements to existing city, town or county streets including pavement design, sidewalks, drainage facilities, signalization, signage, lighting, and utility relocations. Landmark Surveying Co Inc offers a full spectrum of land development consultation and surveying services in Washington, IN. Our surveyors, Darren L. Helms, PLS and Dennis N. Helms, PLS utilize and integrate multiple surveying methods and technique for quicker and more effective results. We are licensed in Indiana, Illinois, and Kentucky. 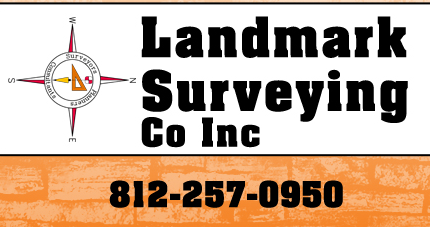 Contact Landmark Surveying Co Inc today at 812-257-0950.